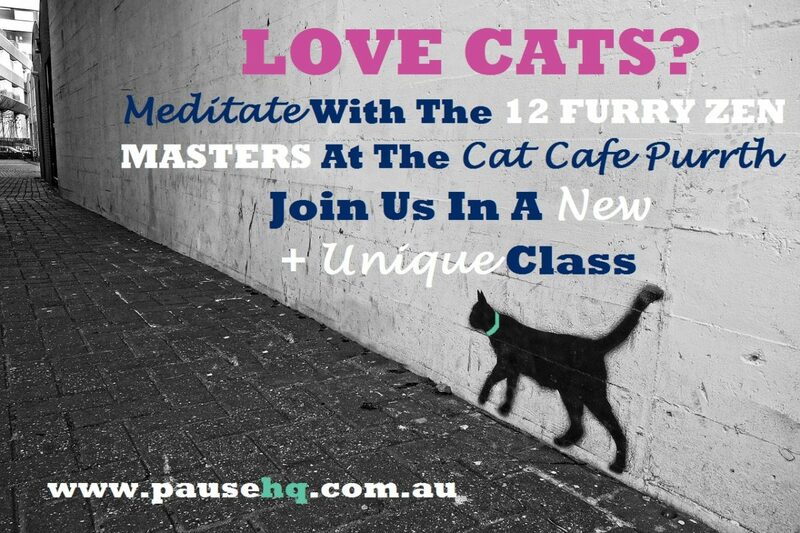 Invite peace into your life through this unique class, with 12 amazing & wise cats (my co-teachers!) lighting the way. How are animals our teachers you might wonder? I have just 2 words: UNCONDITIONAL LOVE. If us humans could live from our hearts, be who we TRULY are & offer unconditional love and compassion to those around us – it would be a VERY different world we would be living in! Let the cats hold this beautiful space for you – and learn how to let go of all that doesn’t serve you, so you too can embrace the peace & joy that exists in EVERY moment. If only you know how to see it! “FINDING YOURSELF” IS NOT REALLY HOW IT WORKS. YOU AREN’T A TEN-DOLLAR BILL IN LAST WINTER’S COAT POCKET. YOU ARE ALSO NOT LOST. YOUR TRUE SELF IS RIGHT THERE, BURIED UNDER CULTURAL CONDITIONING, OTHER PEOPLES OPINIONS, AND INNACURATE CONCLUSIONS YOU DREW AS A KID THAT BECAME YOUR BELIEFS ABOUT WHO YOU ARE. “FINDING YOURSELF” IS ACTUALLY RETURNING TO YOURSELF. AN UNLEARNING. AN EXCAVATION. A REMEMBERING WHO YOU WERE BEFORE THE WORLD GOT ITS HANDS ON YOU. Emily McDowell. What if you have a dog at home? Or a rabbit, bird, horse or fish? That’s ok!!! The approach taught applies in exactly the same way for ALL animals – come along, learn with the Cat Cafe Purrth CATS, and then take that knowledge home to practice with your own beautiful animals. ALL THE VARIOUS TYPES OF TEACHINGS AND SPIRITUAL PATHS ARE RELATED TO THE DIFFERENT CAPACITIES OF UNDERSTANDING THAT DIFFERENT INDIVIDUALS HAVE. THERE DOES NOT EXIST, FROM AN ABSOLUTE POINT OF VIEW, ANY TEACHING WHICH IS MORE PERFECT OR EFFECTIVE THAN ANOTHER. A TEACHINGS VALUE LIES SOLELY IN THE INNER AWAKENING WHICH AN INDIVIDUAL CAN ARRIVE AT THROUGH IT. IF A PERSON BENEFITS FROM A GIVEN TEACHING, FOR THAT PERSON THAT TEACHING IS THE SUPREME PATH BECAUSE IT IS SUITED TO HIS OR HER NATURE AND CAPACITIES. THERE’S NO SENSE IN TRYING TO JUDGE IT AS MORE OR LESS ELEVATED IN RELATION TO OTHER PATHS TO REALIZATION.” Namkhai Norbu.